We enjoyed a lovely dinner at Bolla, located in the Stoneleigh Hotel, on Saturday night. I wanted to spread the word about this restaurant because no one was there! I still can't figure this out. A restaurant of this caliber should be full on a Saturday night regardless if it is Easter weekend. The dining room was decorated beautifully and I think the decor alone is worth going here to see! 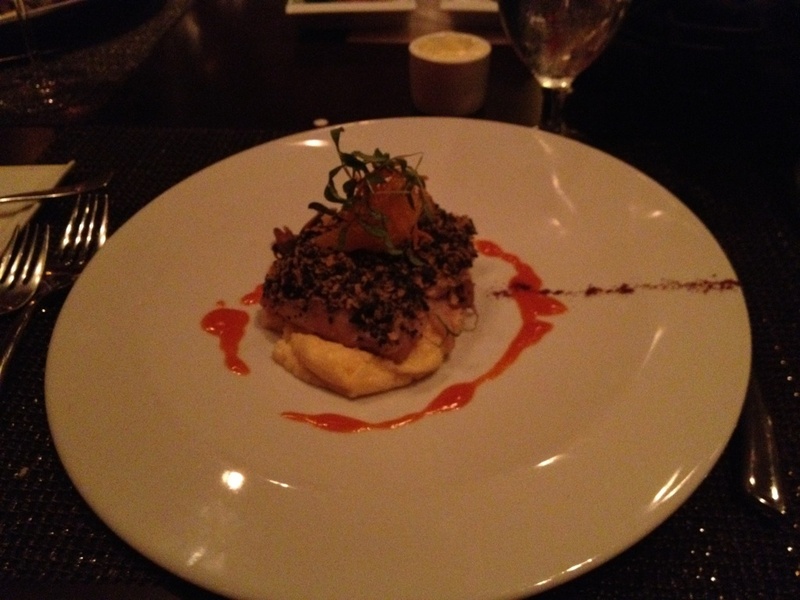 As for the food, we enjoyed all of our courses. 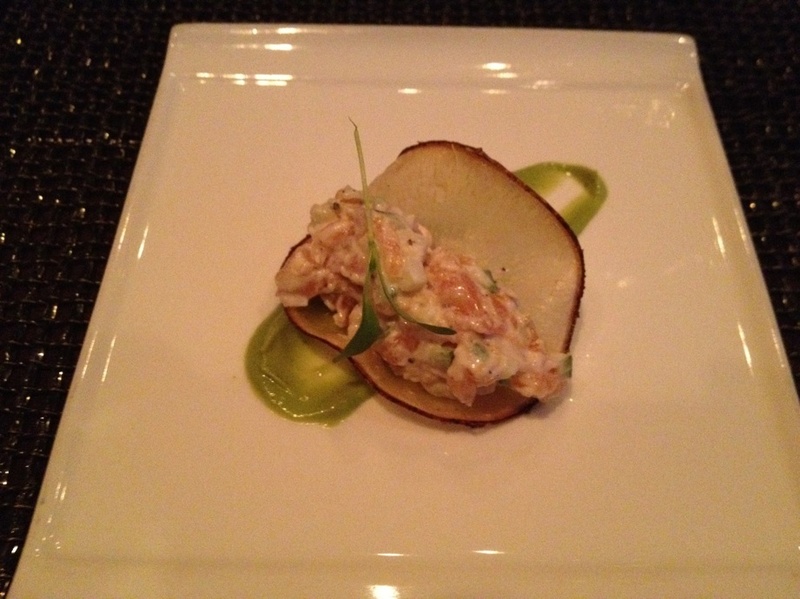 Some of the highlights included the amuse bouche which was a salmon tartare served on a potato chip! 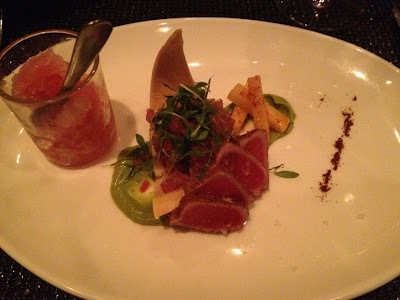 Another great starter was the coriander crusted tuna which came with jicama hot sticks, tuna ceviche, avocado mousee and patron granita. Our favorite entree was the tortilla crusted red snapper which came with charred poblana rajas, creamy polenta, and tequila orange butter. I would not rank this restaurant as one of my favorites but I still think everyone should try this place! If you go here, skip ordering the salmon and the side of lobster macaroni and cheese because neither of these were anything special. Everything else was great though!